The watchword is “quiet” at Camping Olbia. Welcome to a campsite with no entertainment or shows for a relaxing holiday. However, many activities are available so you can relax and be active, discovering the unspoiled nature in the heart of the Mediterranean. 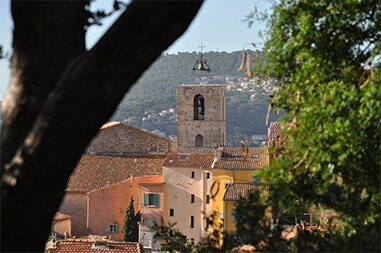 From our campsite in Hyères, visit the city centre from Place Massillon, walk and discover the Castel Sainte Clair and Saint Bernard parks, the Villa Noailles – the mecca for modernism and fashion in Hyères. Finish at the castle ruins. A stroll full of history interspersed with exceptional viewing points. 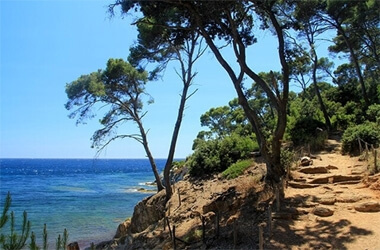 Don’t miss the coastal path in Hyères. 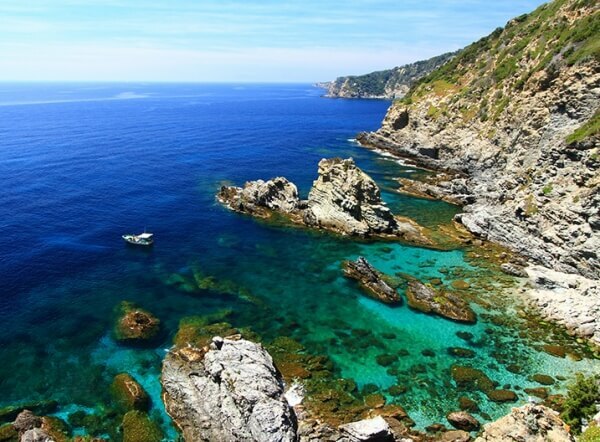 For walking enthusiasts, the route takes you around the peninsula alongside the sea, cliffs and pine tree lined paths. West coast, departure 100m from the campsite Olbia, discover the Pointe des Chevaliers. A protected natural park, this energetic hike takes you to the most natural part of the peninsula. Coves with turquoise waters, leaning pines, steep cliffs… wild landscapes for an immersion in the heart of nature. The departure pier for Ile de Porquerolles is 7 km from Camping Olbia. On foot or by bike, discover the varied landscapes. To the north, are beautiful white sand beaches edged with turquoise waters. 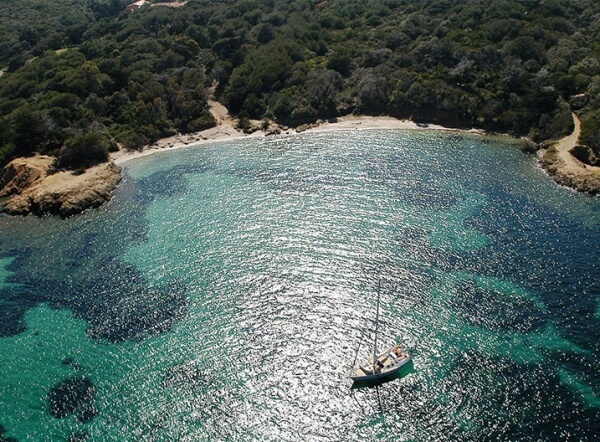 Don’t miss the Notre Dame and Argent beaches – the most beautiful on the island. 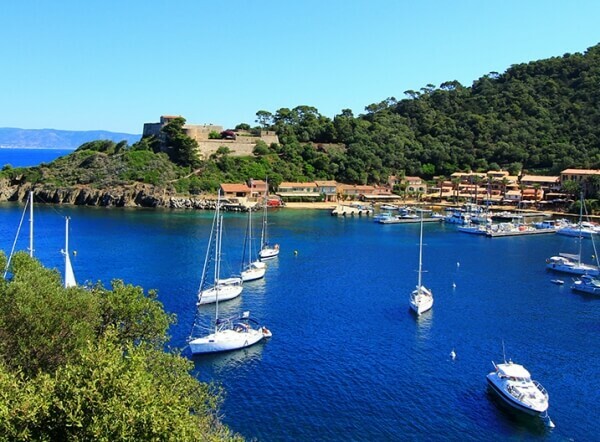 Embark for Port Cros, the most secret of the 3 islands for real nature lovers. When you arrive on the island, you will fall under its charm… A port in the shade of palm trees and 35 km of marked trails! The botanical trail: an underwater trail with groupers, congers, coral reefs… Port Cros is the only underwater national park: don’t forget your mask and snorkel! A mecca for naturism, Le Levant is the ideal place for your birthday suit. But all visitors, even those wearing clothes, are welcome.